A year ago NBN Co. announced that 200,000 Australian businesses would need to migrate off ISDN technology. The company warned IT leaders to act early to avoid creating a migration bottleneck and to minimise the risk of downtime or disruption. However, just last month, Telstra announced that 80,000 of its business customers have yet to migrate. Line disconnections will start September 30! Disconnections begin from 30 September 2019...just over 7 months away. VoicePlus is advising customers to migrate off ISDN immediately to ensure there is time to implement a new solution before the disconnection date. "There is only upside - financial and operational - to migrating now. In fact it would be very sensible to do so. The downside is major business disruption if migration does not occur before the ISDN disconnection dates. "The migration process can be time-consuming, with decision-making about a new solution, upgrading of equipment, and implementation. "With thousands of businesses needing to migrate off ISDN to another solution, the pressure on NBN technician appointments will be intense. Already it is taking between 4-12 weeks from submission of an order to NBN Co. to get a technician appointment. "If a business waits for its final disconnection letter it will not have time to migrate before disconnection occurs!" What does ISDN disconnection mean for business? 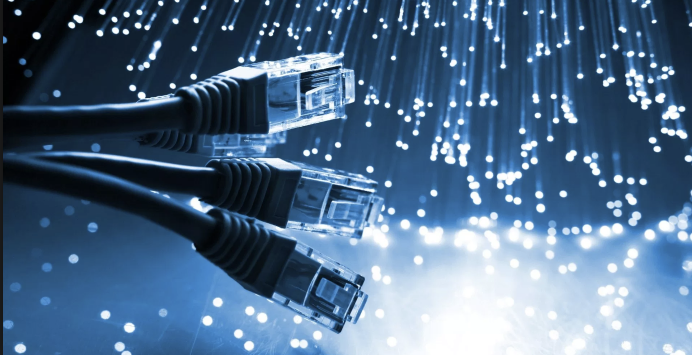 Businesses who currently utilise ISDN lines will need to move to a new technology. There may also be existing equipment within the infrastructure that will need to be upgraded. These could include the telephone system, fax machines, switches, alarms, or EFTPoS. What should businesses do to prepare for ISDN shutdown? The key steps are outlined below. How does your staff access data? How are incoming calls directed? How is your phone system actually set up? How does your messaging work? Would your business benefit from cloud-IVR, or voicemail to email capability? In short, consider what hardware your team is working with right now and if it needs an upgrade. Keep in mind that older PBXs might function with SIP, but your business could be better off with IP phones to access advanced IP Telephony features. It all depends on your business goals. Lean on your telephony partner to discuss the options for your migration, any hardware that might require upgrading, the pricing and the timeframes involved. If you don't have a Telstra partner, contact VoicePlus for assistance. Whatever new technology you choose to replace ISDN, there is a good chance that some exisiting equipment - phone systems, security alarms, EFTPoS - will not be compatible. Acting early ensures that you have time to source and install the new equipment required. 1. Fibre: NBN provides fibre-based infrastructure to carry your bandwidth and voice channels. nbnTM Enterprise Ethernet is for customers who need high levels of speed, performance and reliability when moving their vital data. It is an enterprise-grade product so comes with superior support levels including an Assurance team based in Australia to be a key point of contact 24/7 to facilitate quicker fault resolution. This solution is for a company with 100+ users or smaller companies with existing fibre. 2. SIP: SIP (Session Internet Protocol) is a quick and easy IP voice alternative as you can keep your phone numbers, It provides an IP voice service that enables you to connect and use your fixed voice telephone system over an active broadband service. The service uses Session Initiation Protocol (SIP) uses a SIP trunk to deliver your voice calls as a packet of data over broadband.SIP can be used for video conferencing and instant messaging as well as making phone calls over the internet. There are multiple SIP-based products to choose from mostly dependent on the size of your business. SIP is often the optimal solution for companies with less than 40 seats. 3. IP Telephony: IP Telephony or VOIP is a general term for the technologies that use the Internet Protocol's to exchange voice, fax, and other forms of information that have traditionally been carried over PSTN. Using the Internet, calls travel as packets of data on shared lines. There have been various solutions globally to adopt IP telephony such as Microsoft Lync and Skype. TIPT (Telstra Internet Protocol Telephony) is a complete unified communications system which allows the convergence of voice, video, and date on one network across multiple devices and locations. IP Telephony is often the optimal solution for companies with more than 40 seats. Your network provider needs to be accountable to not only port your numbers over to a new service, but ensure the ongoing delivery of secure and reliable services for your staff and customers. Track record: Can your potential provider (or their representative) provide case studies of successful implementations of a similar service for businesses of a comparable size? Security: Data security is always a key concern. Aspects to consider include levels of encryption, access control standards, and monitoring and reviewing of calls. Support: What commitments do potential providers offer? Do they have the resources and expertise to provide 24/7 support before, during and after the sale? Can you manage your services via a portal? Quality of service (QoS): Ask potential providers about their QoS capabilities. This is the ability to prioritise certain types of data traffic over others. Typically, it ensures voice traffic has the highest priority on the network, taking precedence over downloads etc. Pricing: A migration pricing model will include a one-off installation and hardware charge, combined with a monthly network service fee. Additional features like 100-range numbers and call-forwarding may attract additional fees. Should you engage a Specialist Managed Migration Service? There are two reasons to consider using a specialist managed migration service such as offered by VoicePlus. Time: This is a time-consuming process which will eat up your internal IT team resource. Besides the infrastructure audit, and the build of the order, there is also a process for order lodgement and order processing which inevitably requires hours of time on the phone to the chosen network provider. There is also the coordination of equipment being supplied to the site, and site visits from both nbn and the carrier technicians for installation of equipment. Knowledge mitigates Risk: A specialist Migration Vendor should hold official nbnTM Business Accredited Adviser status. This accreditation ensures the people working on your migration are certified by nbnTM Co. They will up to date with the latest migration requirements and the potential pitfalls. Look for the accreditation logo. VoicePlus provides a fully managed ISDN migration and NBN migration service.. We will complete all the operational tasks and manage your business migration with minimal input from your IT resource.